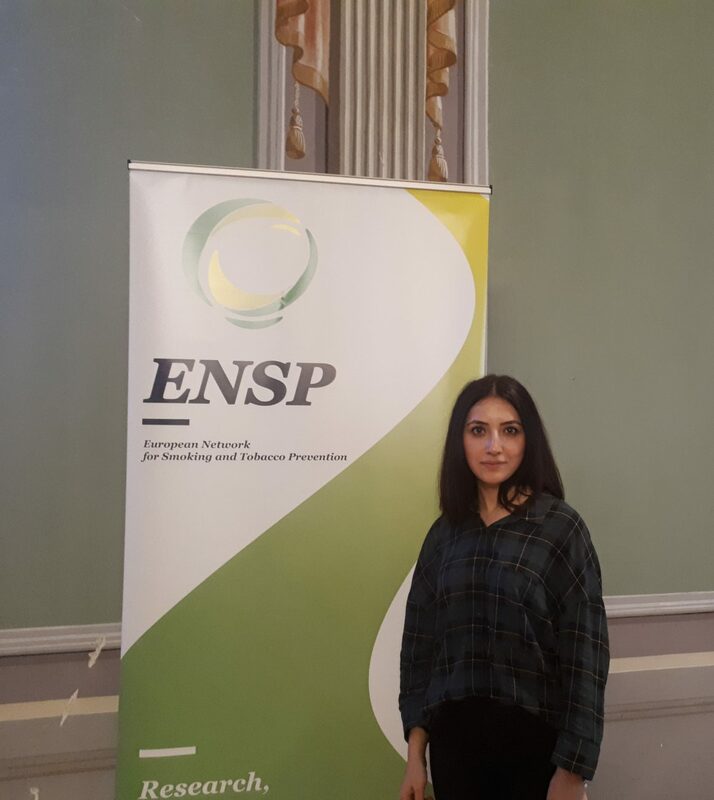 VIENNA, Austria – On November 12-14, the American University of Armenia (AUA) Turpanjian School of Public Health (SPH) Researcher Varduhi Hayrumyan (MPH ‘16) represented SPH at the European Network for Smoking and Tobacco Prevention (ENSP) Capacity Building Event in Vienna, Austria. Every year, the ENSP Secretariat organizes this event for all members with the aim to learn from each other’s experience, share best practices and exchange the latest developments in the implementation of the World Health Organization (WHO) Framework Convention on Tobacco Control (FCTC) and EU Tobacco Products Directive (TBD). The event assembled national representatives, NGOs, academics, experts and youth from around Europe, particularly from Eastern European countries. Two priority topics identified for discussions in the scope of the event were smoke-free policies and novel tobacco products in Europe. The event served as a great opportunity to hear about the current status of smoke-free policies and new tobacco products in different countries, including success stories and challenges. There is a global open debate about new electronically heated tobacco products; the ENSP event offered participants the opportunity to get up to speed with the latest research-based evidence and practices. 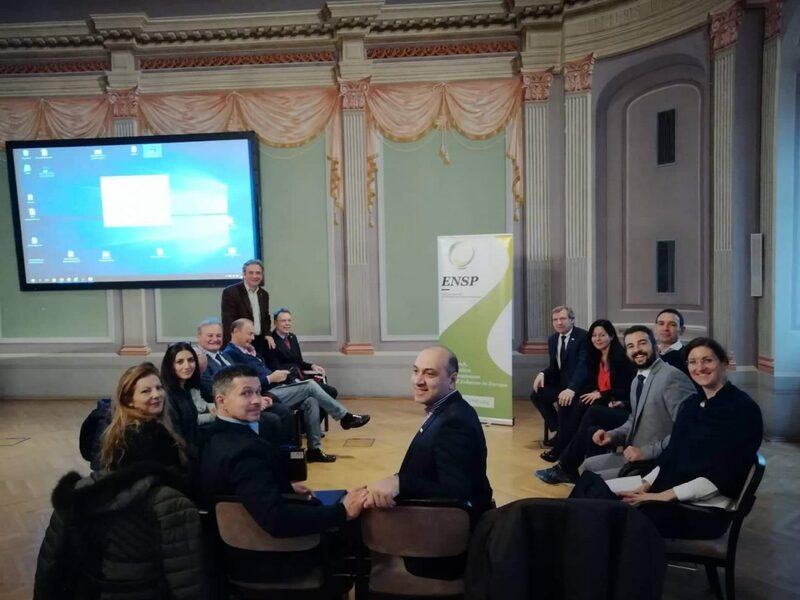 Hayrumyan participated in the General Assembly of the full ENSP members (SPH has been a full member since 2017). She also participated in the annual meeting of the European Accredited Curriculum on Tobacco Treatment-2 (EPACTT-2) organized for project partners only. The goal of the EPACTT-2 project is to continue the development and expansion of an accredited curriculum for tobacco cessation in 15 European countries (Albania, Armenia, Belgium, Bulgaria, Georgia, Greece, Italy, Kosovo, Poland, Romania, Russia, Serbia, Slovenia, Spain, Ukraine) and to enhance the formation of a network of healthcare professionals that will be dedicated to advancing evidence-based tobacco dependence treatment.